Entrepreneurs are the hope of the future. Smart people are taking the lead and you just can’t argue that they are becoming better every day. While these first circle majorly the well known famous entrepreneurs are doing their best to keep at it. Most startups are suffering because they have got little or no tool at all to help their ministry. There are actually 100% tools for entrepreneurs that can make your work faster and smarter as an entrepreneur either as a startup or not. Do you wish to be a famous entrepreneur? Oh, yes you can become one. 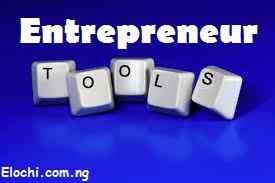 Today i will give you the perfect free tools for entrepreneurs. If you want to start a new business it’s going to be very hard enough if you don’t have the essential tools for business. If you don’t have the assets of a great establishment, your resources will be limited. Below are the top 15 most powerful tools every entrepreneur must have to be a successful entrepreneur and can make you a famous entrepreneur. Looking for software that provides a business with the vital customer support resources such as chat, a help center and a support services that are geared towards handling customers problems? Then Zendesk is the solution. This software will help you keep that money from being wasted in the form of lost customers. Insightly is a customer relationship management software. It combines the ease of use that new users require the powerful features that experienced users expect. Are you working with a team or on a project? Dropbox is one great solution for you. There are alternatives like Mega and Google Drive but this is one of the most popular solutions. It serves the problem of having to ensure that all documents, images, videos and data files of any kind are available at all times. Dropbox will allow all the members of such a group have a password to the online storage location for all the files related to their job. The unavailability of one team member will not hinder a project from completion. Discussing the value of email marketing in today’s online world cannot be overlooked. This is one feature every startup entrepreneur needs to move ahead in your quest of becoming a famous entrepreneur. Whenever we think of such we always remember MailChimp. They have got good pricing and is really affordable. You can just stick to a free account if you don’t want too much of all the goodies. READ ALSO: "9 Principles of Excellence To Achieve Greatness As an Entrepreneur"
Have you ever heard of Buffer or IFTTT? (If not This Then That)! Now, Hootsuite is one more like it and highly recommended too, it helps a startup get more mileage from its social media outreach efforts. With this tool, you will be able to manage all your social media campaigns from a single dashboard. Whatever business you embark on you need marketing, which is the key to the success. Then gaining insight into the effectiveness of a given marketing campaign is where Google Analytics comes into play. If you are a startup that is not getting good data on what ad campaigns are converting, it is effectively flying blind. Check out this awesome tool today and use it to track your audience insights. Indeed I dab for this one because it’s just too dope. I just have to tell you about it even though you don’t think it’s a better choice for you, experts have already recommended it. As a startup, Microsoft office suite is a great software and a perfect tool for entrepreneurs. It actually covers the all basic of word processing, database, spreadsheet, presentation, contact management and any publishing needs that any startup company will desire. Don’t even think that you can operate your business without such a huge software. Having a great number of team or just a startup, why not use Asana to measure their success. Asana is one of the best tools for managing your projects more effectively anytime and any day. It works with projects, tasks, conversations, and dashboards. Teamwork has never been easier. You can turn conversations into actionable tasks, provide comments on other people’s actions, and immediately see what progress that has been made. You can achieve all this above without having to schedule meetings. This is where work actually happens. Slack as a beautiful chat application is an amazing communication platform for teams and mastermind groups. Its smooth design interface is by far the best you’ll come across. Even though it’s relatively new, it is already a very popular tool. This platform makes it easier for your team members to do communicate efficiently and effectively when working on a particular project. It is mobile friendly and can also allow flexibility. It allows you to create channels, coordinate communications and share files too. Canva is an online graphic design program. I often use it to make illustrations and designs for my sites. No, it is not a place where you will find designers - you are the designer. It is a simple drag-and-drop design tool with a library of more than 1 million photos, images, and fonts to choose from. It offers free access to a wide range of design tools and options. You can make everything from book covers to infographics. Momentum is an app for replacing home pages that are designed to inspire you and keep you focused during your workday. When you open your browser, Momentum greets you by name with an inspiring photo and a quote. I find Momentum tremendously useful in determining and completing my One Thing every day. Every morning, I tell it what my focus will be for the day. The rest of the day, it reminds me of my involvement every time I open a new tab. This makes it much easier to stop wasting time on Facebook and the likes. Chatbots have earned their spurs in the marketing world this year. Although many still believe that the chatbot is just a customer support tool, most famous entrepreneurs see it as a must-have in their marketing strategies. Chatbot technology has significantly improved over the past decade, allowing marketers and entrepreneurs to make bots without coding knowledge. Chattypeople is the perfect tool for those who want to quickly create a Messenger chatbot. The platform offers entrepreneurs the opportunity to create a bot that not only works seamlessly with Facebook but also push promotions to customers on request. Typeform is a free service that you can use to create great-looking surveys. We all can use online forms to get feedback from our readers, listeners, and customers. Unfortunately, boring surveys are likely to be ignored, making it more difficult for you to know whether you're heading in the right direction. The nice, clear and mobile-friendly surveys from Typeform can help you get the valuable feedback you need without extra effort. At Yoast, it's all about providing you with the tools to fully optimize every aspect of your website. One of the most important aspects that an online entrepreneur must consider is Search Engine Optimization (SEO) along with content marketing. SEO is one of the best ways to turn your website into a lead generation tool. If you use Wordpress, Yoast is a great plug-in that you can use to improve your SEO efforts. Basically, Yoast tells you everything you need to know about organic marketing through a Wordpress plug-in. • Give your page an SEO ranking. • Help you write Meta descriptions. • Use a traffic light system to tell you what you are missing and what you do well. • Give you a readability score to improve your SEO ranking. • Yoast can help increase your site visitors if used correctly. Are you tired of remembering tons of passwords? You do not have to do this with LastPass. LastPass is a tool that keeps your passwords in one place. Chances are that you will use many different websites if you run your business. Of course, it is important to ensure that you use effective passwords to protect your security. LastPass makes it easier because you do not have to worry about remembering every password. You also do not have to worry about writing them all down. READ ALSO: "30 Ping Sites To Ping and Index Your Blog Fast 2019"
Hopefully, I know that you like these tools, then you can even share it with all your friends on social media sites. Enjoy the given checklist of the most powerful tools to make you a famous entrepreneur in 2019. Take advantage of these tools today to accelerate your search for a successful entrepreneur and see yourself in the midst of well-known famous entrepreneurs. Great article. Mailchimp and Google analytics has been my go to. I can't wait to try those you mentioned. You are welcome, thanks for dropping by. hey Elochi, nice blog you have here. i enjoyed reading your posts and indeed it was helpful. You are welcome Ojex, nice step you did.